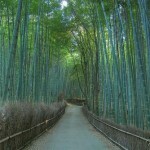 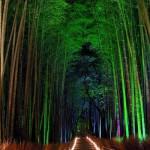 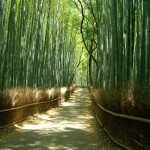 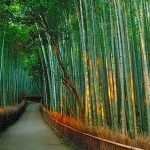 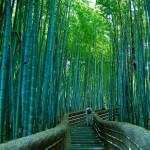 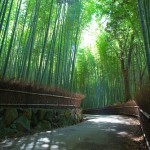 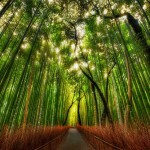 A wonderful place Arashiyama, located west of Kyoto, next to Sagano, Japan, is mostly famous for it’s bamboo groves. 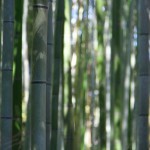 Sagano bamboo groves are behind Tenryū-ji Temple and along the trail to the Okochi Sanso. 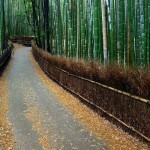 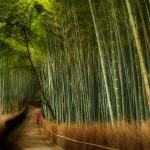 The walking paths that cut through the bamboo groves make a walk or bicycle ride nice. 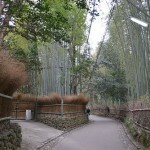 The groves are particularly attractive when there is a light wind and the tall bamboo stalks sway gently back and forth. 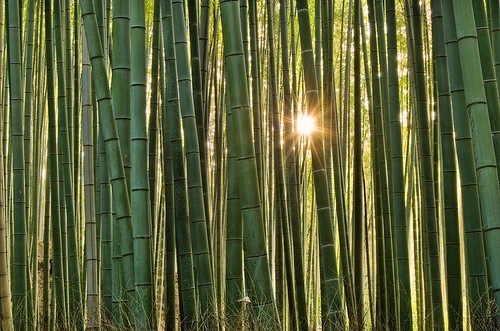 Meanwhile, people have used the bamboo to manufacture various products, such as baskets, cups, boxes and mats at local workshops for centuries. 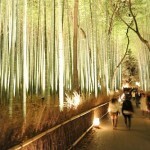 Noteworthy, Arashiyama is a nationally-designated Historic Site and Place of Scenic Beauty. 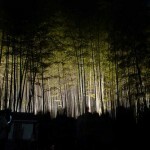 The place gained a lot of popularity not only because of its extraordinary beauty, but especially of the sound that arises as a result of contact of the wind with slim bamboo stalks. 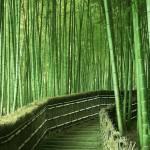 According to the visitors of Sagano bamboo Forest, this sound, vaguely reminiscent of the music, has a very calming effects and envelope sense of harmony. 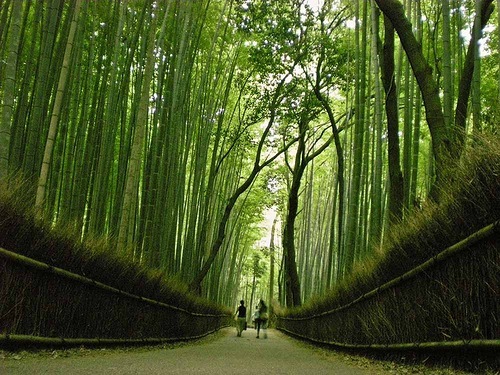 It is not surprising that the Japanese government has included the sounds of Sagano bamboo grove in the list of one hundred protected sights of the country. 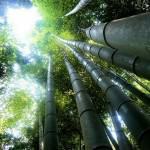 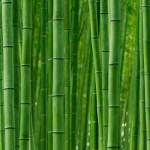 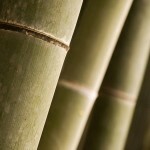 In the countries of the East have long known about the amazing properties of bamboo. 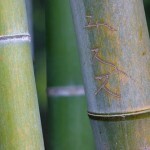 Besides, in India it is considered a symbol of friendship, and in China – a symbol of longevity. 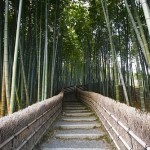 And in Japan people believe that bamboo trees protect from evil spirits. 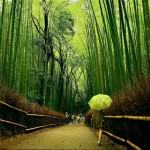 That’s why bamboo trees surround many Japanese temples. 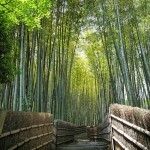 Also, in the area of Sagano craftsmen use bamboo to make baskets, boxes, and even dishes.